This past weekend we had a booth at the 2015 SCDNR Sportsmen’s Classic and we also gave 3 presentations (one each day) on coyote hunting. We had been looking forward to the Classic and preparing for some time so it was good to see March finally roll around. At the event there were hundreds of booths set up and there were products, services, and speakers of all types. It was really amazing and it was also a well organized event. We had a lot of good traffic by the booth. Since we don’t do a lot shows there were numerous individuals we met who had never heard of WeHuntSC.com before. We had the coyote competition promo video playing on repeat (shout outs to Yellow Cape Communications for some awesome video work) and as people walked by they would see the video and hear the howl of the coyote and check things out. Several coyote hunters said they’d never heard of the competition and that they would definitely be entering it this coming year and some even said they would be the next winners! 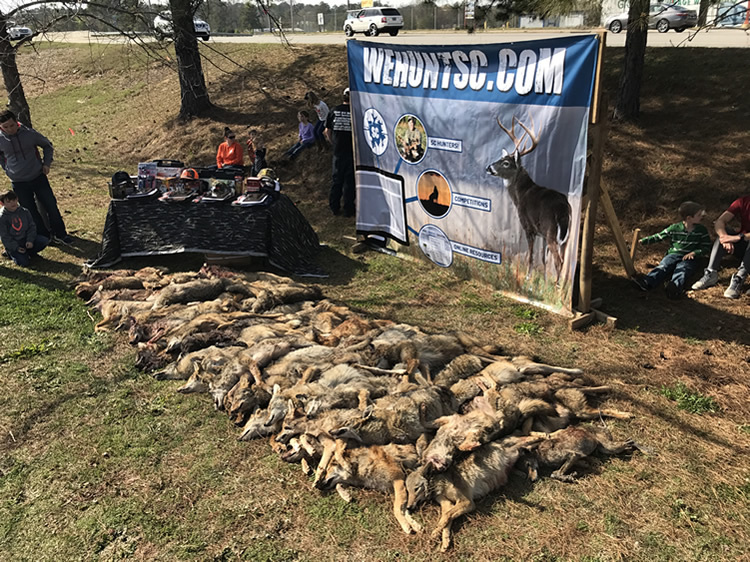 One thing that was really amazing to me was to see how many farmers, turkey hunters, and deer hunters stopped by our booth and showed pics of dead coyotes on their phones. These people weren’t specifically coyote hunters yet they had pics of them on their phones. Regardless of the type of hunter nearly everyone at the show had pics of coyotes and I think that is very telling. We all recognize that coyotes are prevalent across the state and to see the evidence first hand from outdoorsmen from around the state just validated it for me. We even had people stop by and thank us for what we’re doing… that is trying to work to raise awareness for what coyotes are doing across the state & motivate people to start hunting coyotes. Several individuals shook our hands and told us to “Keep up the good work”. Overall we had a good location with good foot traffic and the booth side of the show was a good experience for everyone. There were also a number of celebrities or famous people on TV at the event. The crew from Lizard Lick towing were on hand, Captain Wild Bill from the Discovery Channel's "Deadliest Catch" was there, and Bruce from "Swamp People" was there as well. 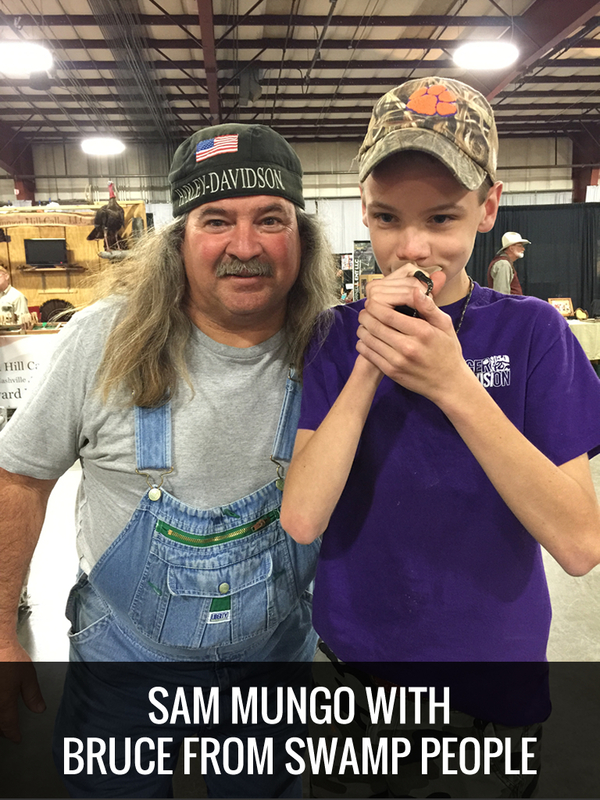 We were even able to get a quick pic of Sam with Bruce. 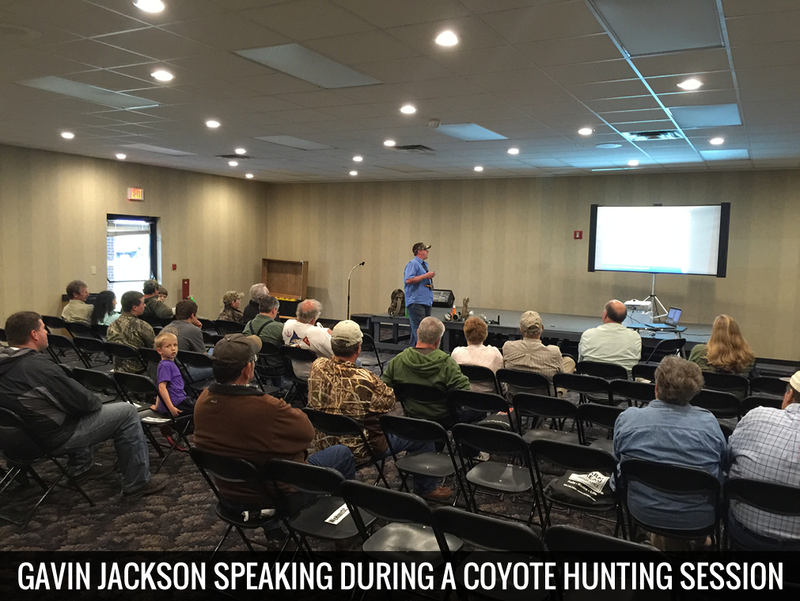 Each day at the event we also gave sessions on “Intro to Coyote Hunting”. We had an average of 22 people at the sessions and the sessions seemed to go well. We fielded lots of questions and you could definitely sense the feeling that the people in the room really cared about the coyote problem. We provided background information on coyotes and also tips on how to get started hunting coyotes. I’m going to post some subsequent blogs on each topic we covered in the presentation later this week. We also had a few organizations inquire about if we would speak to their groups about coyote hunting. If you are interested in that then please let us know and we can line something up. We were glad to be able to participate in the 2015 Sportsmen’s Classic. It was great to meet a lot of new hunters and connect with other outdoor organizations in the state. We hope to be able to do it again sometime. 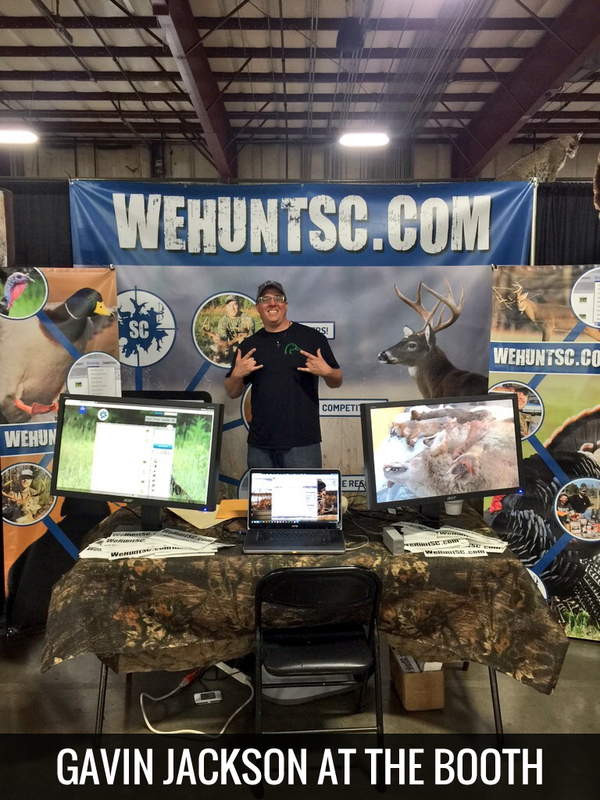 In the meantime we’ll see you online at WeHuntSC.com & hopefully at next year’s Coyote Competition check-in! For the past few years we’ve been hosting a Predator Challenge in hopes of reducing the coyote population, raising awareness for the sport of predator hunting, and raising awareness for the damage that coyotes are doing to game populations around the state. Thus far the check-in location has been at the Sportman’s Warehouse right off of I-26 in Columbia. Columbia serves as a central location where everyone can drive the least distance to check-in their predators and have a good time meeting other hunters and networking. 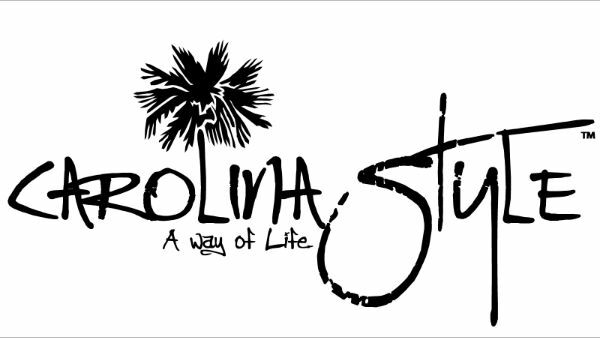 This year we’re still meeting right off I-26 except this time we’ll be meeting right behind the Sportman’s Warehouse at a new location called Catch and Release Sportsman’s Consignment. Catch and Release is a new store and has been growing really fast. We’re happy to partner with Catch and Release to host the 2014 Predator Challenge check-in at their location. We think you’ll like the check-in being hosted at the new location. Last night I did a quick interview with Blakely Byrd, owner of Catch and Release Sportsman’s Consignment, to get a better understanding of what Catch and Release is and to get to know more about her in general. The interview is here below. We hope to see you at the check-in! 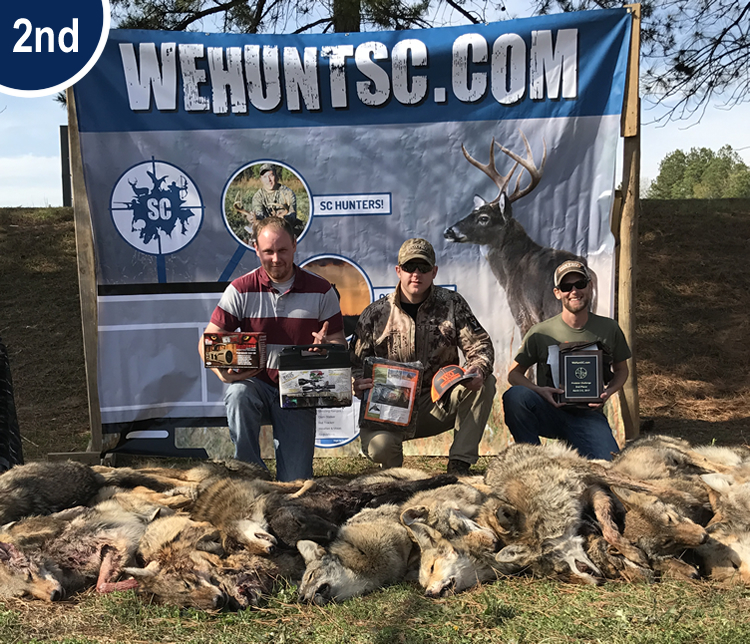 Register your team today and join us in reducing the coyote population in SC and beyond. Pee Dee Deer Classic + Schofields Annual Classic Extravaganza Event this weekend! 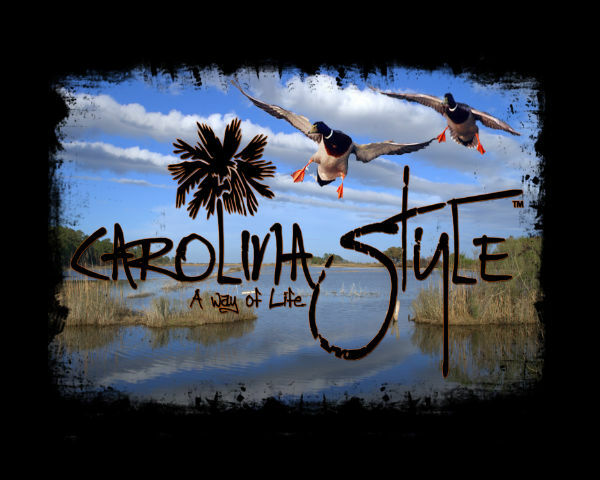 This upcoming weekend is a big weekend for SC hunters and the city of Florence, SC. 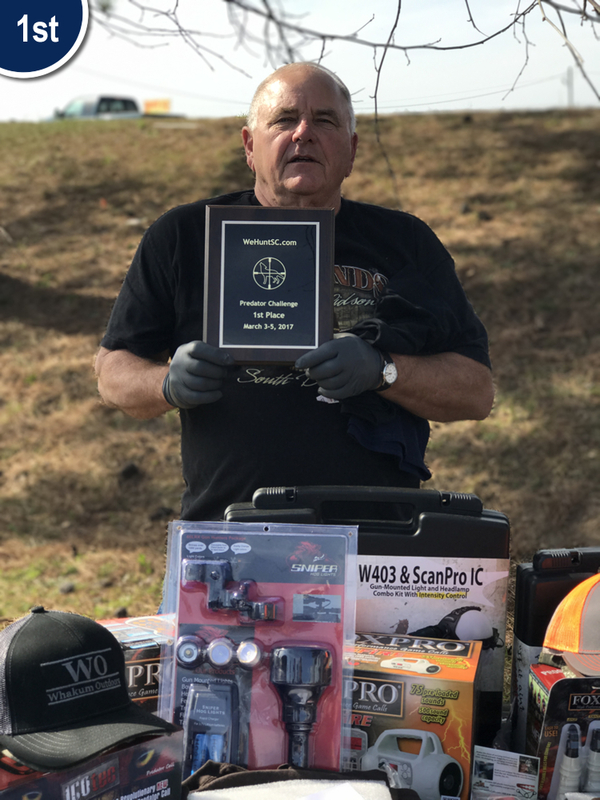 If you want to shop around, see the latest trends in outdoor clothing, artillery, weaponry, and everything in between just before hunting season gets here, then be sure to check out the Pee Dee Deer Classic as well as Schofields Annual Classic Extravaganza Event on Saturday July 28th! 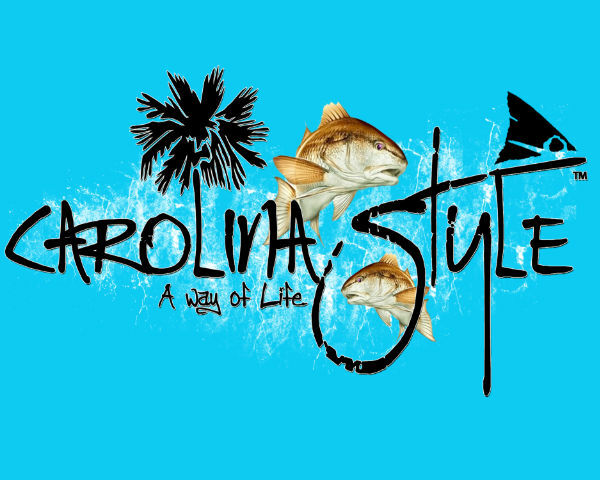 Be sure to be in Florence, SC this weekend as there will be lots of outdoor action, synergy, and great sales going on! We?re all excited to announce that one of our WeHuntSC.com brothers, Blake Hodge, has released a clothing line with some really neat outdoor apparel. A big congratulations to Blake for venturing out into the entrepreneurial world and creating some really neat designs. I hope this blog post finds you doing well, shooting coyotes when you can, and preparing for turkey hunting season. I'm working in the background on some updates to the site and I'm hoping to push them out this summer. It's keeping me pretty busy to be honest. I wanted to announce some good news and ask for your support. 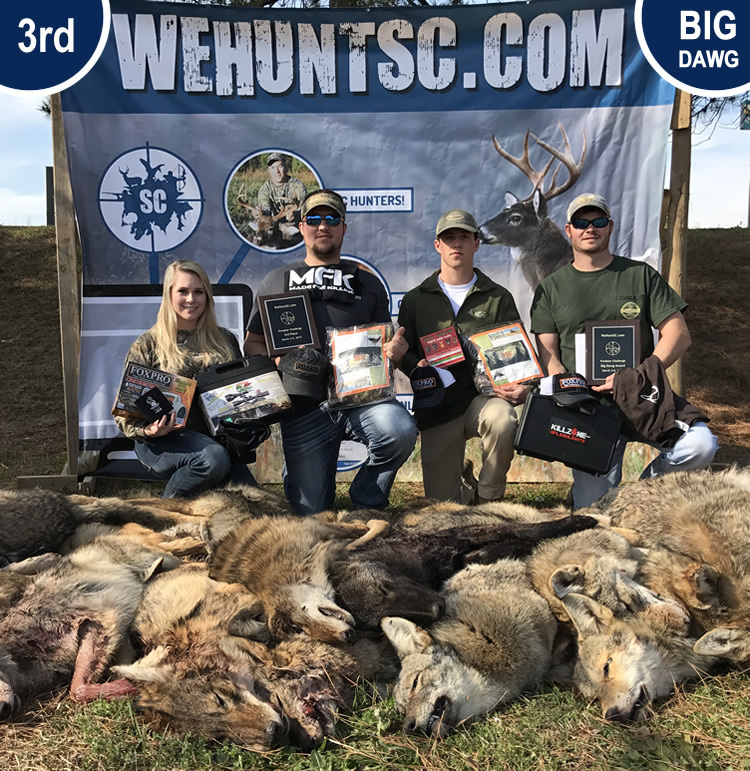 One of our biggest sponsors on the site has been McKenzie Outdoors who has sponsored several competitions giving their Scent Fan Duffle Bags to our winners. The scent fan duffle bag has recently gained some attention from the market and is currently in the running to be "on the shelf" at Wal-Mart. Wal-Mart is seeking feedback from consumers as to which products consumers actually want to see on the shelves. 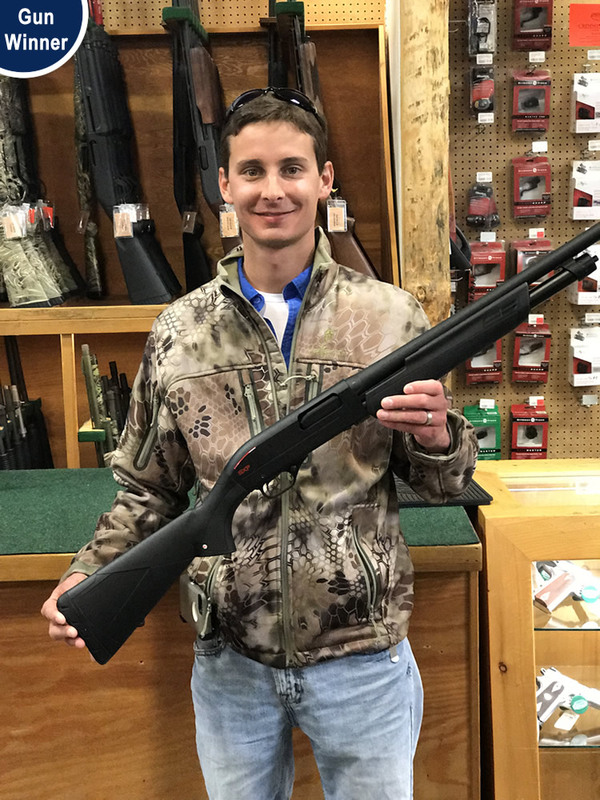 This is a great opportunity for a fellow SC outdoorsman to make some traction with his product and we're excited for Eddie McKenzie and his crew at McKenzie Outdoors. 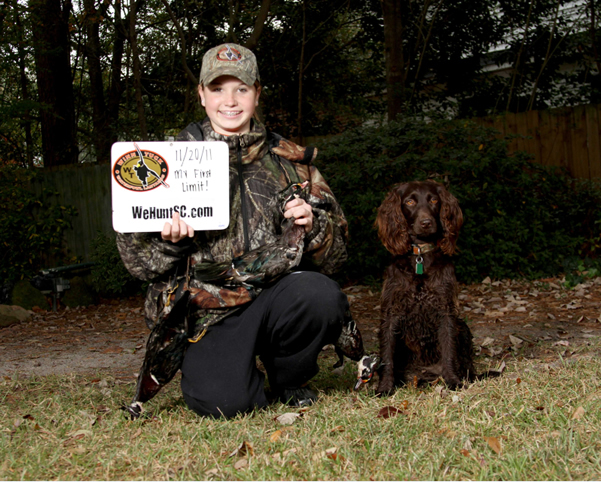 We're rallying the troops to support McKenzie Outdoors by casting votes either by cell phone or through Facebook. The voting period lasts for 1 month. 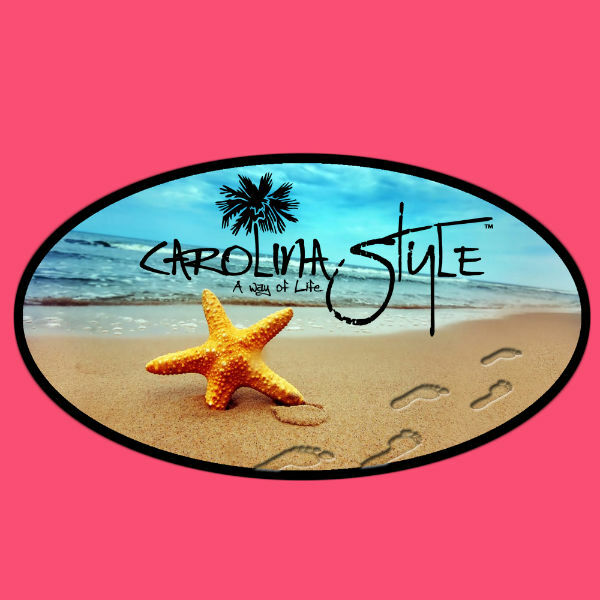 You can cast one vote per day so if you get a second and remember it, be sure to help support one of our most dedicated site sponsors.